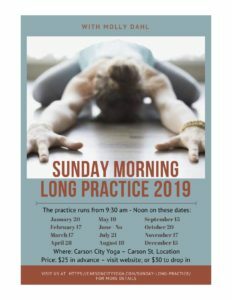 This slow and leisurely Sunday morning yoga practice will gently warm you up and prepare your body and mind for deeper opening and exploration. The class finishes with a lovely guided meditation. You will leave this class feeling deeply rested and rejuvenated!